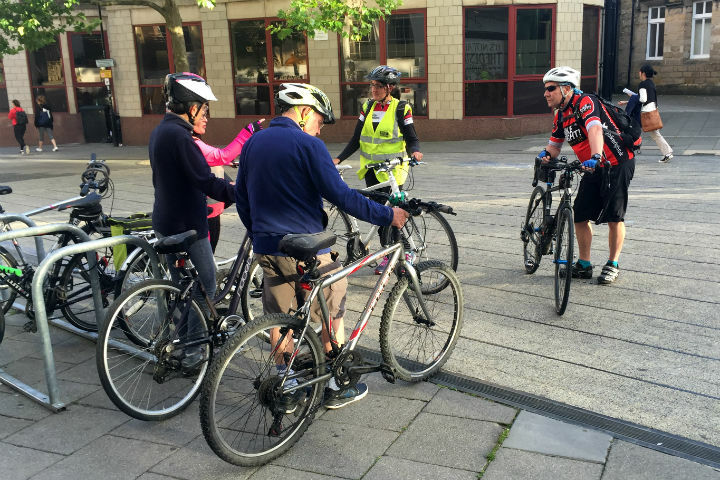 Cycle training is a key ingredient in promoting sustainable travel, as I discovered on two cycle courses for adults. Readers will know I’m a big fan of utility cycling, and I recently wrote about how an e-bike trial transformed my daily commute. However, the thorny issue of cycling safety remains a concern for many. Anyone who’s watched the online video of Jeremy Vine being threatened by a driver in London will appreciate that our roads can feel like the Wild West to cyclists. Thankfully, we’re starting to see serious investment in segregated cycle lanes in Newcastle. The new cycle superhighway on John Dobson Street is almost complete and smaller segregated routes are opening up across the city. John Dobson Street cycle superhighway. Segregated cycle lanes are key to making cycling safe and enjoyable for all. The piecemeal delivery of cycle lanes around Newcastle does pose a problem though. Those lanes are still few and far between, and you’re going to have to risk the road at some point. Thankfully, there are plenty of organisations out there to help. I recently took part in two Freewheeling courses run by BikeRight! which were fully funded by Newcastle City Council. BikeRight! 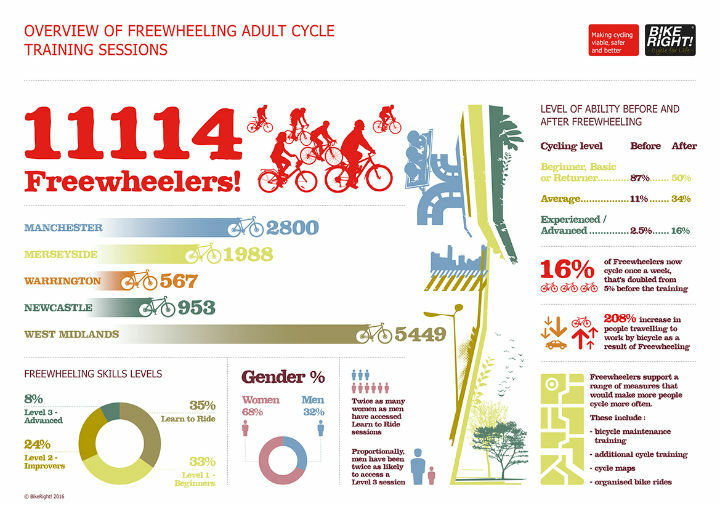 is the largest cycle training business in the UK and their accredited instructors provide free urban cycling skills tuition on behalf of several local authorities. 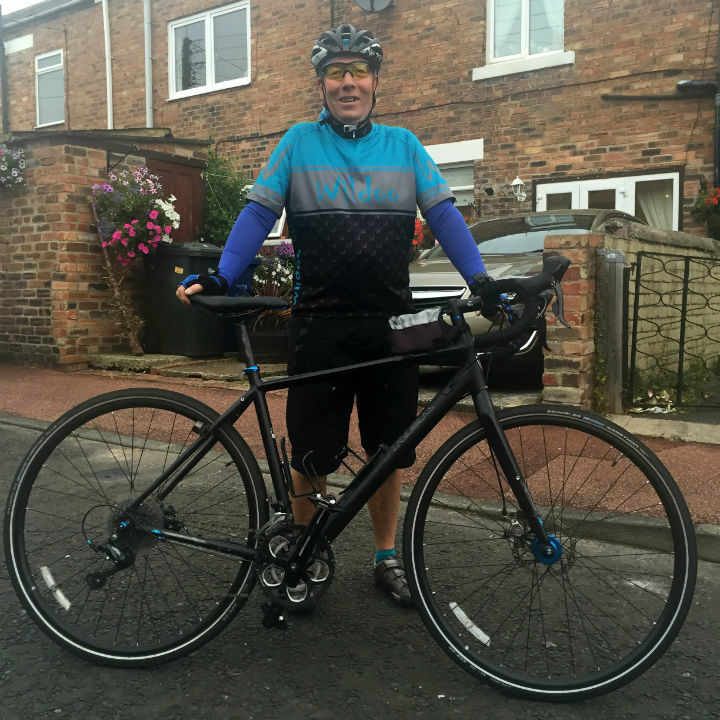 “There are more cyclists on the road than ever,” explained Les, “but drivers still don’t pay enough attention.”The first Freewheeling course, Cycling in the City, was an introduction to the cycle lanes of Newcastle. Instructors Yvette Dungworth and Les Haddon also gave our small class some simple road safety advice to make traffic less daunting. “There are more cyclists on the road than ever,” explained Les, “but drivers still don’t pay enough attention.” The key to cycling safety is not to retreat to the gutter but to be assertive! Being a confident cyclist means holding your own and making sure that motorists around you are aware of you and your intentions. Yvette and Les took us through primary and secondary positions on the road, stressing that the only time you should ever be close to the kerb is when you start and finish. Cycling in the City adult cycle training. Wanting to build my confidence further I arranged for a second one-on-one cycling session with BikeRight! They can tailor sessions to an individual’s particular needs, so I arranged for Les to meet me at work and shadow my cycle home. Building on the earlier lessons around road positioning, Les helped me plan a safe route home, making use of cycle lanes where possible, and avoiding vulnerability at difficult junctions. As we cycled, Les coached me on some of the finer points of cycling safety including making eye contact with drivers, and how to safely pass cars stopped at traffic lights. Cycling trainer Les Haddon coached me during my commute. After only two Freewheeling sessions I really do feel more confident cycling around town. There’s no doubt in my mind that cycle training is just as important as developing cycle infrastructure, and this has been recognised by Newcastle City Council who continue to offer a range of free adult courses in cycle training. Both Yvette and Les are now employed directly by the council and if you need a confidence boost on your bike, I recommend you check out their Cycling in the City website for further details. Interesting post Adam. I cycle from Heaton to the Centre for Life on my commute. 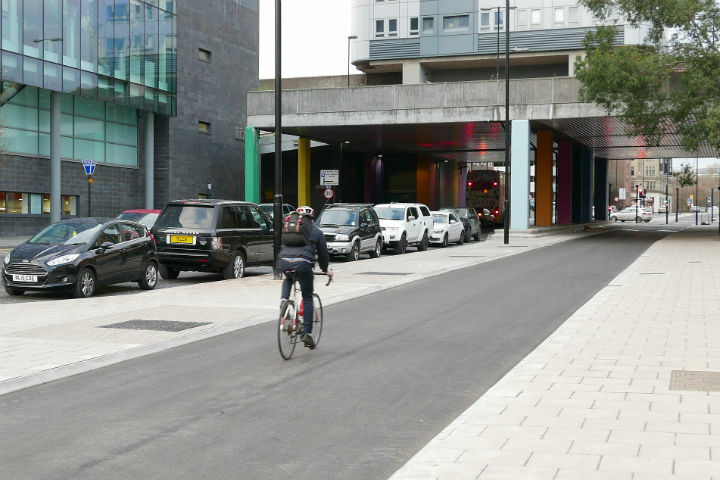 The John Dobson cycle superhighway is a nice piece of infrastructure unfortunately it doesn’t really help anyone going east-west across the city and seems at the moment to be mostly used by skateboarders!